L-shaped 3 Bedroom, 2 Bath Ranch with In-Law Apt. or Space for In-home business separated by an attached garage for great privacy! Offering a Granite Kitchen with cherry floors & propane range, Dining Rm with Fireplace, cherry floors & beamed ceiling and slider leading to Deck, Large LR or FR in an open floor setting, Hall Bath with new vanity, sink, and new tile floors, Master Bedroom with skylight, slider to Deck, and Full Bath with new sink and counter top, Recent Navien instant hot water, Shed painted last Fall. In-law consists of Large LR, Eat-in Kitchen, Bedroom, renovated full Bath and Walk-in closet. Built-in outdoor fireplace on the main deck. Near Pomperaug High and I-84 for easy commute. Directions: Exit 16 I-84, North On 188 To Judd Road, Left On Old Woodbury Road, House Is On The Left. 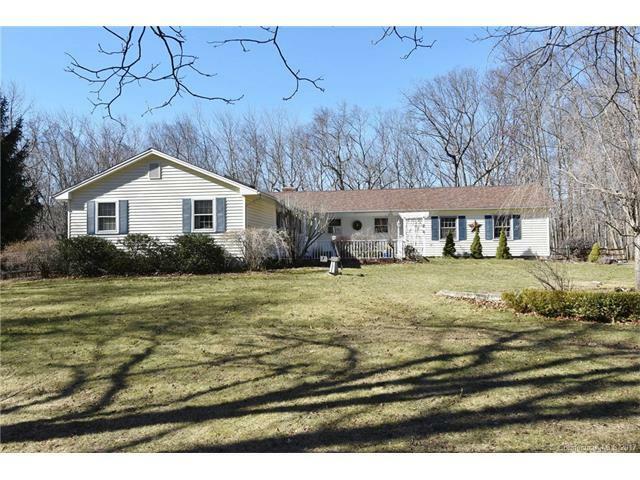 Selling Office: Connecticut Multiple Listing Service, Inc.